The land on which the company operates totals 530 ha, with 263 ha of water surface (reeds and bullrushes). Fish breeding and farming: common carp, silver carp, grass carp, perch and other types of fish. An intake on the river Tisa provides a constant source of good-quality water. Average annual production, with tendency to growth: 448,404 kg of quality fish. 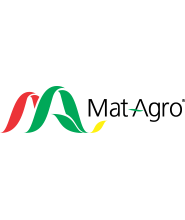 The company’s core business is crop and cattle farming. The crop farming business is conducted across 5000 ha of arable land, and includes wheat, corn, sunflower, soya, sugar beet and rapeseed. “Ravnica” AD, Bajmok, is located halfway between Sombor and Subotica, with arable land extending along the border with Hungary. Ravnica employs modern agricultural technology in its farming, resulting in high yields of all crops. It is equipped with agricultural machinery of the latest generation, operated by trained workers, achieving high productivity. The farming operation also has its own grain dryer and silos of capacity 20,000 tonnes. Livestock farming takes place on a pig farm that sends 18,000 fattened pigs to market annually, and a cattle farm of capacity 1,300 animals per cycle. A total of 118 staff are employed in the agricultural and livestock farming operations. PZ Jankovci i Negoslavci u svom posedu imaju 1500 ha obradivog poljoprivrednog zemljišta, mehanizaciju, skladišne kapacitete i oko 50 zaposlenih. Company processing and trading in wheat and flour. 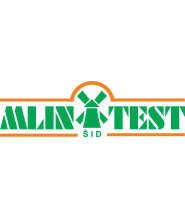 “MLIN TEST” DOO – Company processing and trading in wheat and flour. Dana 13.03.2015. godine zaključen je Ugovor o kupoprodaji stečajnog dužnika kao pravnog lica NEOBUS AD – u stečaju kao Prodavca i MPZ-AGRAR DOO NOVI SAD kao kupca. Kupovinom privrdnog društva kao pravnog lica Kupac je u celosti stekao i osnivačko pravo nad kapitalom društva kao i svu pokretnu imovinu i nepokretnu imovinu (Proizvodna hala za proizvodnju autobusa, ambulasnta civilne zaštite i trafo stanice) upisano u list nepokretnosti broj 1332 KO Novi Sad IV, broj parcele 441, sve ukupne površine 111.942m2, definisano kao “ostalo građevinsko zemljište u državnoj svojini”. Prekon recycles non-metal scrap and waste. 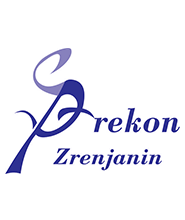 “PREKON” ZRENJANIN d.o.o. – recycles non-metal scrap and waste.